A New Haven Lawn Club Wedding has a classic elegance to it. The lawn club is a favorite among wedding venues in the New Haven, Connecticut area. The grounds of the club are lovely for a summer wedding, like the one pictured, and the ballroom is perfect for both ceremonies and receptions. Another benefit of this venue is that it is located close to Yale University. While the club provides exquisite scenes for New Haven Lawn Club Wedding pictures, it is also nice to photograph the bride, groom, and their families at the historic Yale campus. This image captures a private first look, the moment the bride and groom first look into one another’s eyes on their wedding day. Having a “first look” is not exactly traditional, yet this trend is becoming increasingly popular because of the beautiful and romantic memory it creates. I chose to have the first look between this particular bride and groom occur with them indoors and me taking pictures from outside. This gives the impression of bride and groom being in their own space before they become husband and wife. Having the two framed by the window, allows for the moment to be a little bit more private as they gaze adoringly at each other. 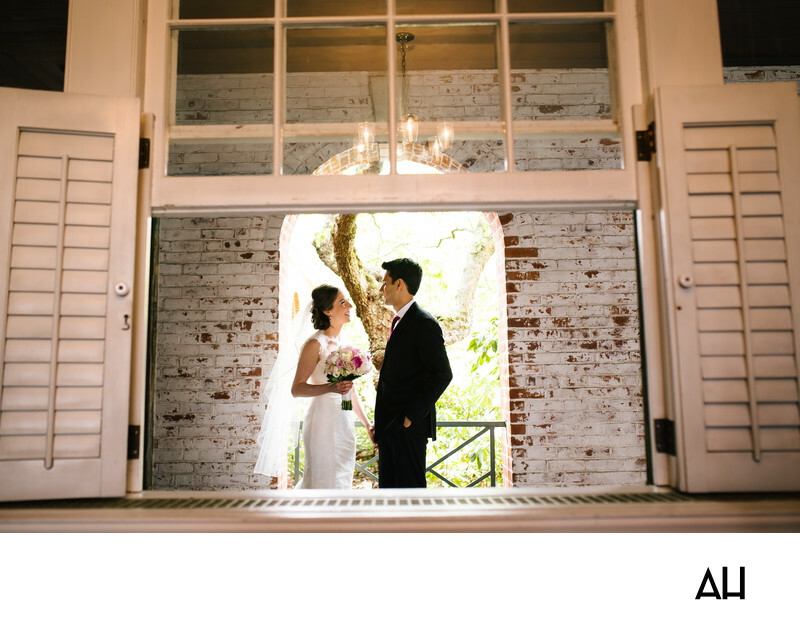 The light streaming in from the arched entry behind them highlights the pair. The groom is captivated by the woman before him, as though he can not believe he will soon be married to her, while the bride is radiating from the bliss of the day. The couple exudes the happy contentment that comes from finding your heart’s match; they are a paragon of harmony and love in marriage.